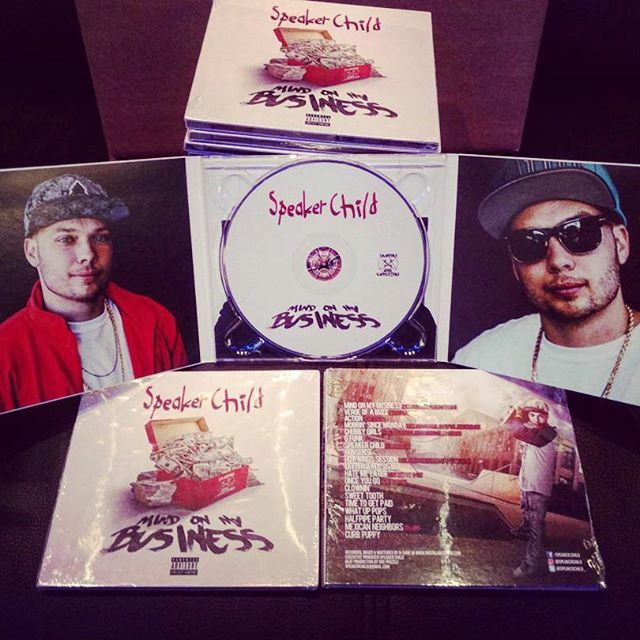 Check out the debut album “Mind on my Business” from Seattle artist Speaker Child! Speaker Child, formerly of the group Continental Soldiers, has just released his debut album Mind on my Business that was entirely recorded, mixed & mastered by D-Sane @ Digital Age Sound. The album was mostly produced by West Coast funk extraordinaire, Roc Phizzle, and features appearances from numerous California Hip-Hop legends such as Spice 1, Celly Cel, Dru Down, Rappin’ 4-Tay, Andre Nickatina and Lil Nate Dogg. He also teamed up with Seattle Hip-Hop legends Twin-G & Fatal Lucciauno for the bangin’ title track “Mind on my Business”! Give his album a listen and if you’re diggin’ it, support him by purchasing it on iTunes or your favorite retailer! We also pressed up his CD’s for him!